Film festivals happening all around Long Island - for your viewing pleasure! Film festivals are a vital part of the movie industry and draw millions of celebrities and other film lovers all over the country and the world to see what's new in the movies . Some of the most famous festivals take place in Cannes, France, Tribeca and the Sundance in Utah. We are fortunate to have many right here on Long Island. Many of the films star, were written by, produced by, or were directed by Long Islanders. And don't be surprised if you recognize some Island landmarks in these movies. Film festivals showcase high-quality films during a celebration of new and established filmmakers and their new or rare films. Bringing new and rare feature-length films, documentaries, animation, and shorts, some festivals also includes filmmaker panels and arts presentations to unique and historic venues. There are film festivals for all movie tastes. Libraries also partake in their own film festivals. Are you an aspiring filmmaker? These festivals are always looking for films to include. Is the latest young director the next Scorsese, Spielberg or Lucas? Applications are available on their web sites. 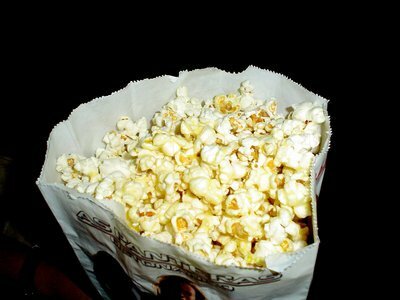 Grab a tub of popcorn and get ready to enjoy these local film festivals. Subject: LongIsland.com - Your Name sent you Article details of "Long Island Film Festivals for the Local Cinephile"